“Forest of Love: The Heart’s Great Repose” by Christina Burch, auctioned off at the 2016 Evening Art + Science. What do the artwork of Christina Burch and the research of Dr. David Pinsky have in common? They both come from the heart. 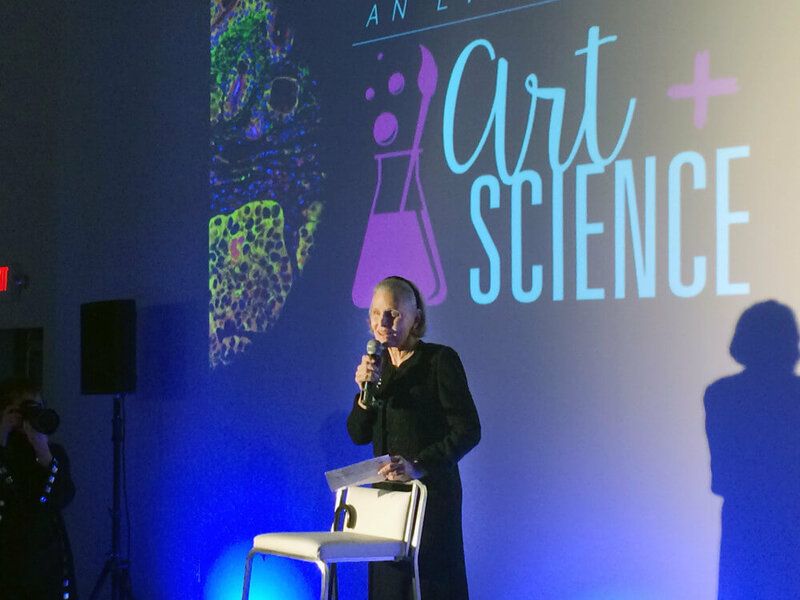 The link between the arts and science were on display in full force at the third annual A. Alfred Taubman Medical Research Institute’s Evening of Art + Science, held April 21 at the Museum of Contemporary Art in Detroit. 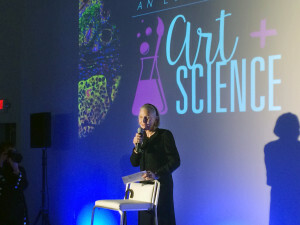 Contemporary artists were connected with Taubman Scholars (of the University of Michigan medical school) to explore the commonalities of art and science. Each artist then created original artwork based on working with the researchers, which were displayed and auctioned off at the event. Park West Gallery was the proud sponsor of the auction. 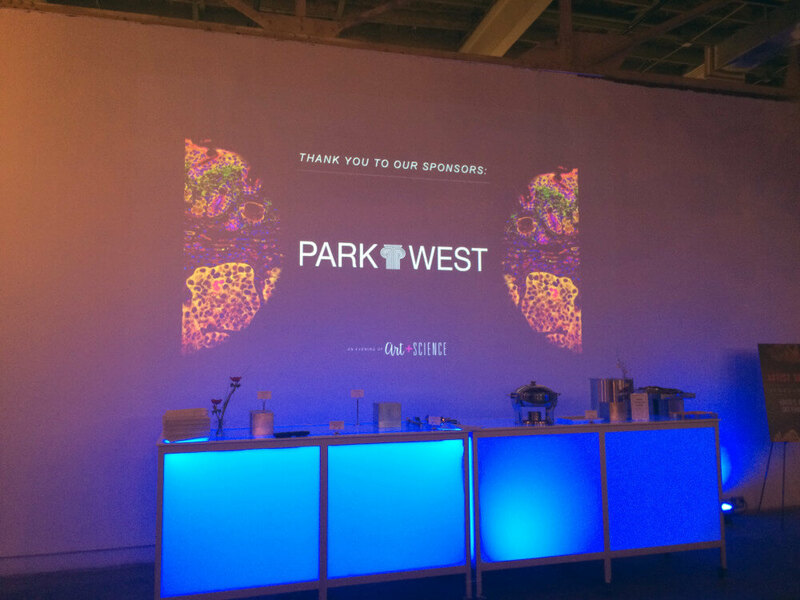 Park West Gallery proudly sponsored the auction for the Evening of Art + Science. Proceeds from the auction benefit the Taubman Institute’s Emerging Scholars program, which supports the next generation of medical thought leaders as they conduct important research. For instance, Pinsky, the division chief of Cardiovascular Medicine at the University of Michigan, has been researching how to amplify proteins that line blood vessels. By doing so, people would be better protected from heart attacks, strokes and other heart-related diseases. 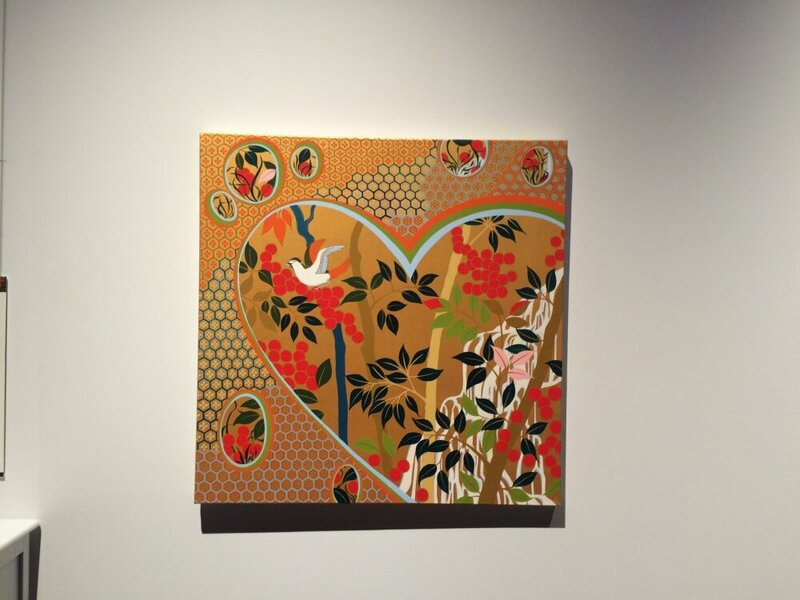 Based on this research and touring Pinsky’s lab, Burch created an acrylic painting titled “Forest of Love: The Heart’s Great Repose.” The painting features eastern themes, with hexagonal patterns representing cross-sections of tissue samples under a microscope and berries representing blood cells. Guests enjoying the science-inspired artwork at the Museum of Contemporary Art in Detroit. 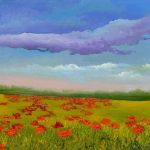 Aside the proceeds from the auction, even the art itself can lead to bettering people’s lives, such as how art can provide health benefits merely by viewing it. Pinsky supports this claim with his own experiences and viewing art. “The underlying theme is can we improve health through our research, and the art is a way that heals people, so one of the intersections [of art and science] is healing,” he says. 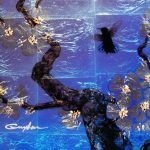 Other artwork included varied mediums and materials, including everything from hand-blown glass and aluminum sculptures to jewelry. The research they represented included combating neuroblastoma (a cancer in children), obesity and metabolomics, multiple sclerosis and natural means of repairing the human eye. 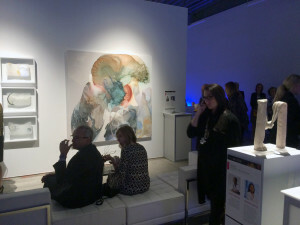 Guests at the event sipped on cocktails served in beakers and munched on local cuisine while silently bidding on the artwork. Gayle Kalisman, daughter of Taubman and co-chair of the Taubman Institute, thanked everyone for their contributions. Gayle Kalisman, daughter of Taubman and co-chair of the Taubman Institute, speaks with attendees at the Art + Science event. Visit the A. Alfred Taubman Institute page for more information, and read about astrophysicist Neil deGrasse Tyson speaking with Peter Max about art and science.